Intel leads the industry in end to end 5G. The closer the industry gets to shipping 5G, the bigger the war is heating up between the biggest players in the industry and Intel is without a doubt right in the thick of it. Everyone is already familiar with Intel’s recent efforts to deliver drones and showcase VR using 5G at the Winter Olympics in Pyeongchang, Korea. However, Intel’s biggest efforts in 5G are focused on delivering 5G based on the new 5G NR standard in as many places as possible. This includes enablement of 5G from the datacenter all the way to the edge and back. Intel recently announced their new Xeon D-2100 for edge computing for 5G networks (read here) and that serves as a nice primer for some of Intel’s latest announcements at MWC 2018 this year in Barcelona. Intel was very busy in 2017 working on many world firsts connected to their efforts in 5G. The company partnered with Toyota and NTT DoCoMo on car mobility trials as well as Tencent Holdings and Huawei Technologies in China. Intel had claimed numerous 5G “firsts”. They also showed the world their aspirations in 5G modems with their new XMM 8060 and 7660 chipsets due out in 2019. Many of their activities in 2017 helped set the stage for the beginning of this year with their efforts at the Winter Olympics in Pyeongchang, Korea. At the games in Korea, Intel had twenty-two active 5G links at 5 venues and was using the 5G network to provide Wi-Fi services as well. While this deployment was not actually a 3GPP compliant deployment of 5G, it did still provide as a showcase for 5G’s capabilities and helped Intel learn valuable lessons for next year’s deployments of 5G NR. To build momentum towards commercial deployments, Intel must keep working on new trials and interoperability testing to ensure everything will work flawlessly. That is where Intel’s first major MWC announcement comes in. Intel held the first public 5G NR interoperability test with Huawei. 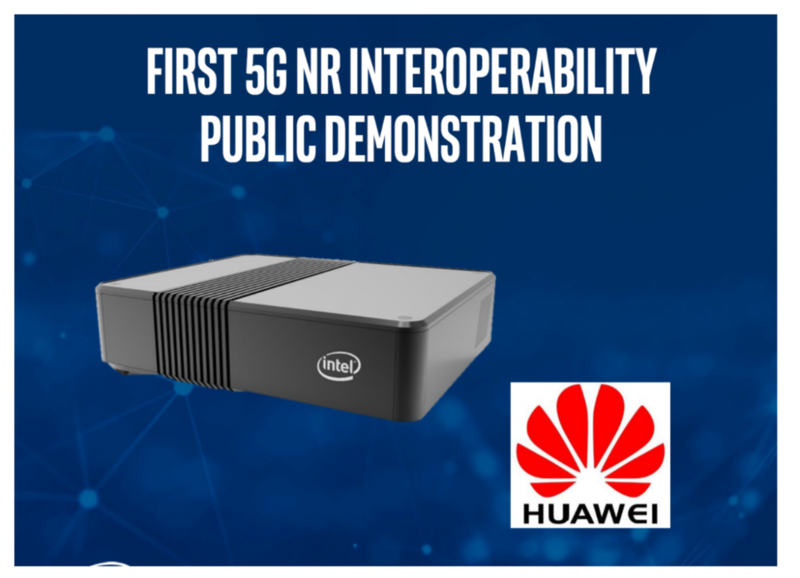 One of the big developments that Intel is showing off at Mobile World Congress 2018 is their first 5G NR public interoperability testing in partnership with Huawei Technologies network equipment. Intel claims that this is the world’s first public demonstration of interoperability, and they might be correct because as far as I know, many of these interoperability tests are done in private in labs. In addition to Huawei, Intel is also saying that they are currently working on over 25 different 5G trials worldwide which include both operators and OEMs. These are crucial partnerships for Intel to be involved in because without them the kinks in different 5G NR deployments simply won’t be worked out in time to deliver a quality experience. 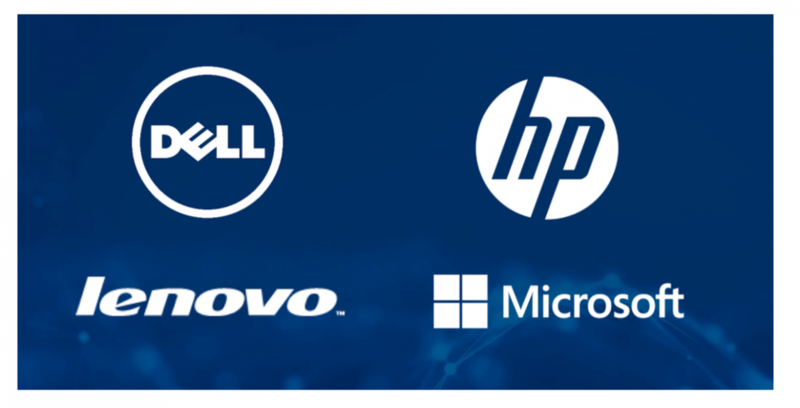 In addition to their trials with operators and the usual smartphone OEMs, Intel is bringing in three partners rarely talked about when you think about wireless or 5G, Dell, HP Inc and Lenovo. Intel is doing what they do best and is bringing together the three biggest names in PCs together to collaborate. This collaboration will enable 5G connectivity in consumer PCs, likely notebooks, for availability in late 2019, around the holiday selling season. This will pair Intel’s Core processors with the XMM 8060 5G modems to provide data connectivity to what many would expect to be consumers given the holiday timeframe. Dell, Lenovo, and HP Inc will deliver 5G PCs in 2H 2019. The great thing about deploying on laptops or 2-in-1s first for Intel is that they can leverage their power within the PC ecosystem to encourage innovation. Laptops are also easier to design for compared to smartphones and you generally have more space to work with than on a smartphone. They also have bigger batteries and have fewer places that might be occluded, which can result in faster speeds and better user experience. By going with 5G on PCs, Intel also avoids the issue of needing dual connectivity with 4G running voice while 5G runs data, reducing the power consumption requirement. I am hopeful Dell, HP Inc. and Lenovo will work hard optimizing antennas to get the highest speeds at the lowest power. Intel is building on the idea of 5G PCs with the introduction of their first 5G-enabled 2-in-1 concept PC at MWC. This is a good thing for Intel to be showing off as already in prototype development because 2-in-1s are generally more popular but also more difficult to design for. 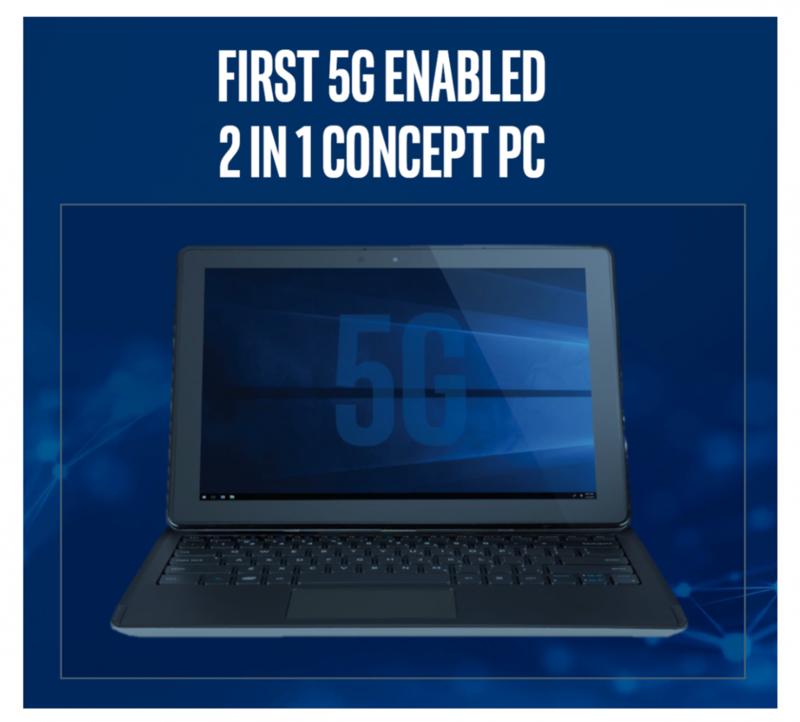 So, for Intel to already be showing off a 5G 2-in-1 really means that the company is serious about this category and having 5G modems be a part of a fast-growing segment of the PC market. While it remains to be seen how soon we could see a 5G-enabled 2-in-1 notebook, I would suspect that we probably won’t see one until 2020 at the earliest. A 5G 2-in-1 would be a very mobile deployment for Intel’s 5G technology, and while that is a good thing for Intel, they are still keeping their smartphone ambitions close to their chest. That is until now. Intel will show off 5G 2-in-1 PCs at Mobile World Congress in Barcelona. At MWC Intel is also collaborating with longtime Chinese chipset supplier Spreadtrum on delivering 5G phones. Intel has previously partnered with Spreadtrum to deliver modem connectivity to Spreadtrum’s applications processors for a complete smartphone solution. Intel does not share how that prior collaboration went, but given the company has not talked about it, I would say not great, but good enough to collaborate on 5G. Intel’s multi-year 5G collaboration with Spreadtrum will culminate with the first phones expected in the second half of 2019. Spreadtrum is a big supplier for Chinese smartphone OEMs and should help Intel to enter the market. The big elephant in the room when it comes to Intel’s 5G smartphone ambitions is still Apple and the expectation that the two are collaborating to deliver a 5G smartphone sometime next year. However, neither company will confirm that this is happening or when, but the standard expectation is that Apple will follow their usual cadence and if that stands true we probably won’t see a 5G iPhone until the earliest August or September. I am betting we will not see a 5G iPhone until 2020 based on recent comments from Apple’s Tim Cook in a recent CNBC interview by Josh Lipton. Regarding 5G timing, Cook said, “And I think it is a full, commercial offering in 2020.” This is either a great head fake, and we will see 5G iPhones late 2019 or confirmation of 2020. In all, Intel is making it quite clear that their 5G efforts are not limited to modems and smartphones. In fact, I can confidently call Intel the end to end 5G leader. Intel’s end to end 5G strategy is designed to allow many different divisions of the company (public cloud, enterprise datacenter, carrier, notebook, and smartphone) to capitalize on the major investment and growth that 5G will bring in virtually every part of the IT industry. Intel has also shown that they are doing real 5G NR testing and have big plans for infrastructure as well as devices. Intel is showing themselves to be taking 5G very seriously and expanding the addressable market in ways that benefit the overall market as well as Intel. Intel is using this year’s MWC to focus on the many new partnerships that they are entering to enable real 5G NR deployments in 2019 and beyond. Note: Analyst Anshel Sag contributed heavily to this blog.